Now featuring more than 130 swords!!! 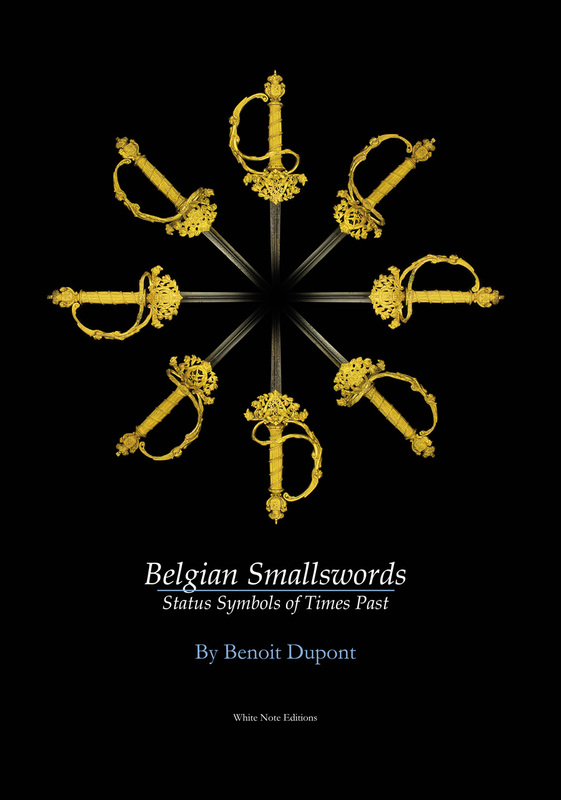 I am very exited to announce that my book "Belgian Smallswords, status symbols of times past" is now finally available ! 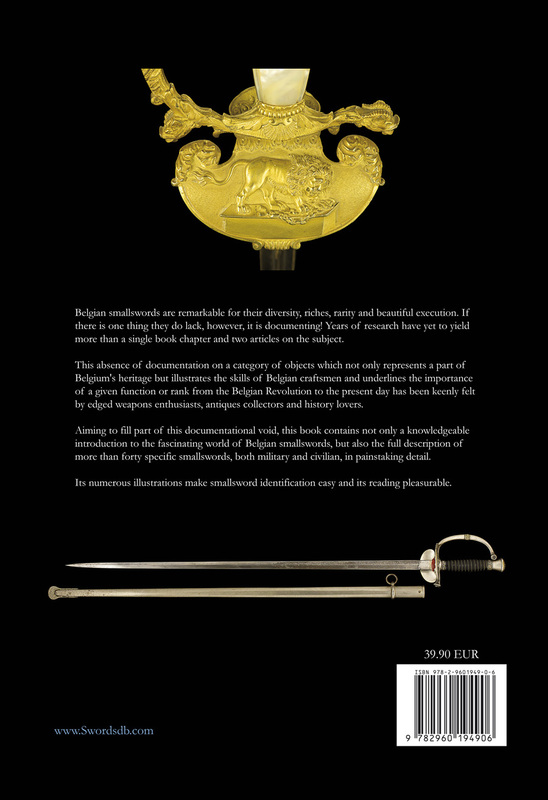 This is the very first book dedicated to Belgian smallswords and it sublimes their beauty in over 160 pages. It references official texts spanning more than 120 years in order to link models to known wearers and corresponding time periods. 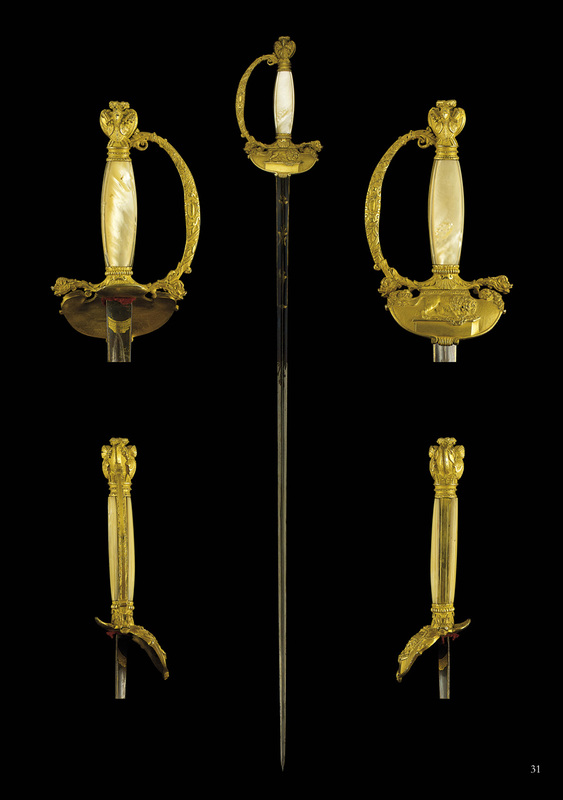 Gorgeous full-color pictures of more than 40 examples of smallswords illustrate the different models, both military or civilian, which have been used in Belgium since the independence of the country, in 1830. If you have any interest in Belgian or even European smallswords, this is a book you cannot afford to miss !!! If you are interested in buying this book, please contact me at : benoit@swordsdb.com. * EUR 7.70 for Belgium, EUR 18.00 for Germany, Holland, France and Great-Britain, EUR 26.10 for the rest of Europe and the USA. Although I have always been interested by edged weapons, I only started collecting swords in 2015. 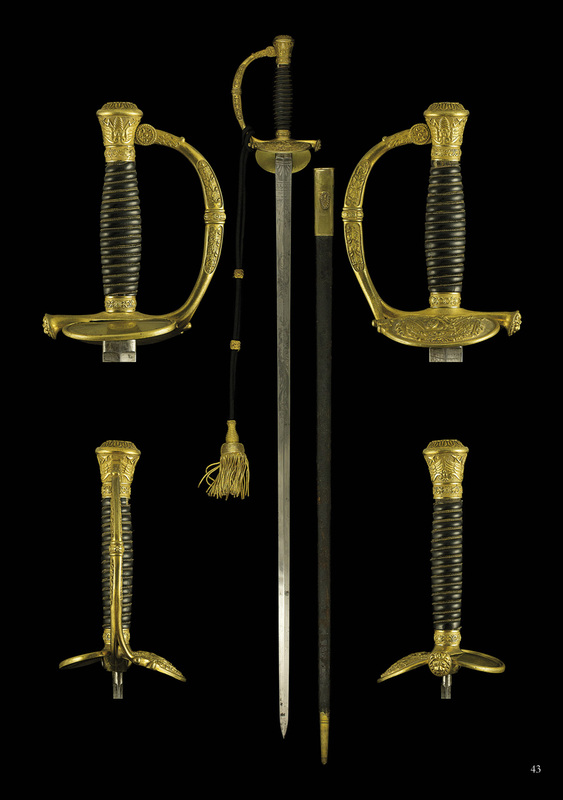 I started out by buying a few civil servant's swords and I have since been lucky enough to be able to buy several examples, including a few ambassador's swords. Adding to that some Belgian swords and a few other pieces which caught my eye resulted in a small collection which badly needed documenting. However, I soon discovered that there was precious little information available. 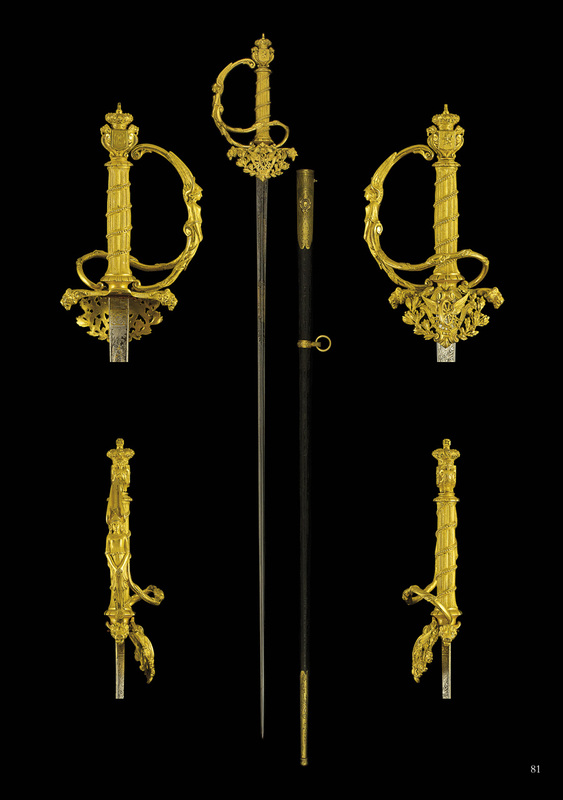 What books existed were mostly about French swords and I have but heard about a single catalogue on Belgian swords, which I have yet to find. Also, most of the books in question presented the swords in a very concise way, almost never giving any but the most basic measurements. Don't get me wrong, there are beautiful and well written books out there, just not precisely on the swords that interest me. This left me feeling frustrated and, as I believed that I probably wasn't the only one looking for this information, I decided to share what little I had at my disposal. 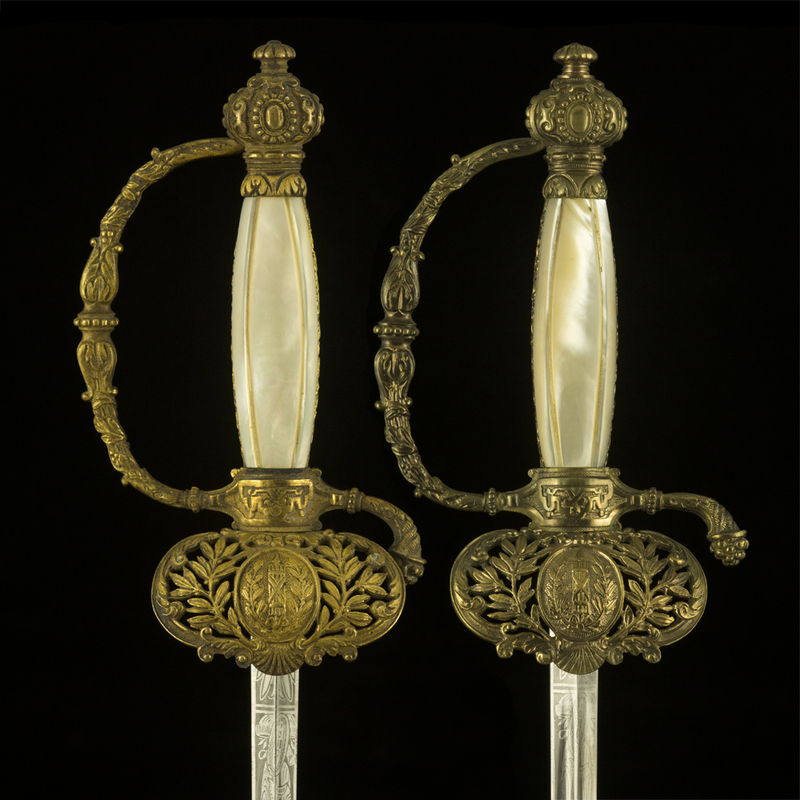 This site is a single-person venture but aims at being more than just a presentation of my personal sword collection, so I will include any swords I have the opportunity of photographing and measuring according to my method and standards. Anyone living in Belgium and ready to allow me to do this with swords of his own can contact me at : benoit@swordsdb.com. 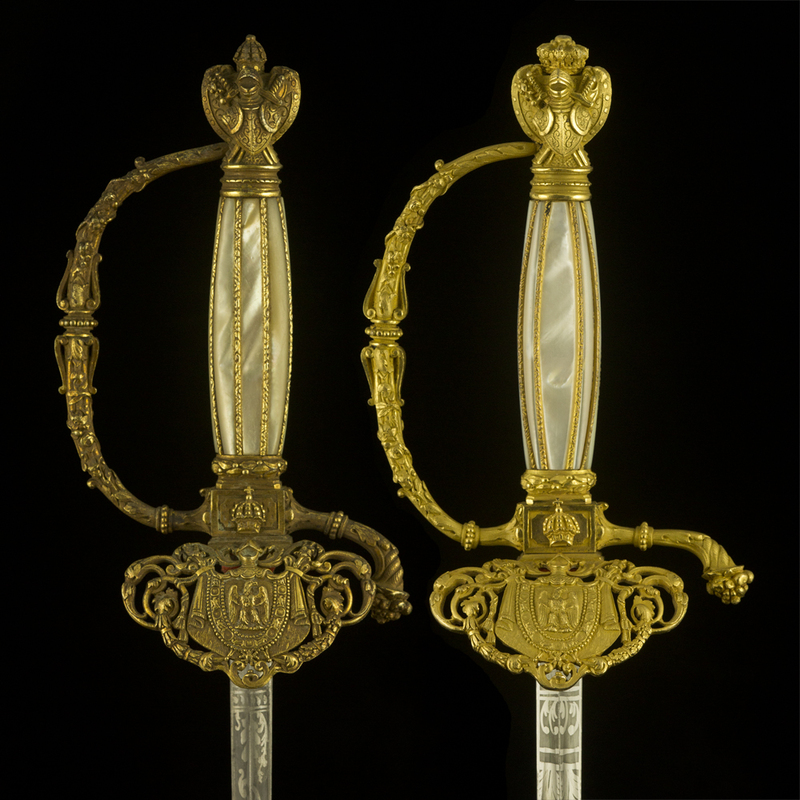 As a photography enthusiast, I appreciated the challenge that photographing these swords proved to be. I hope you will enjoy the results I finally obtained. I believe that they are worthy of scrutiny, though they certainly could be better still. I have added an photographic overview of smallsword pommels and mother of pearl grips here. 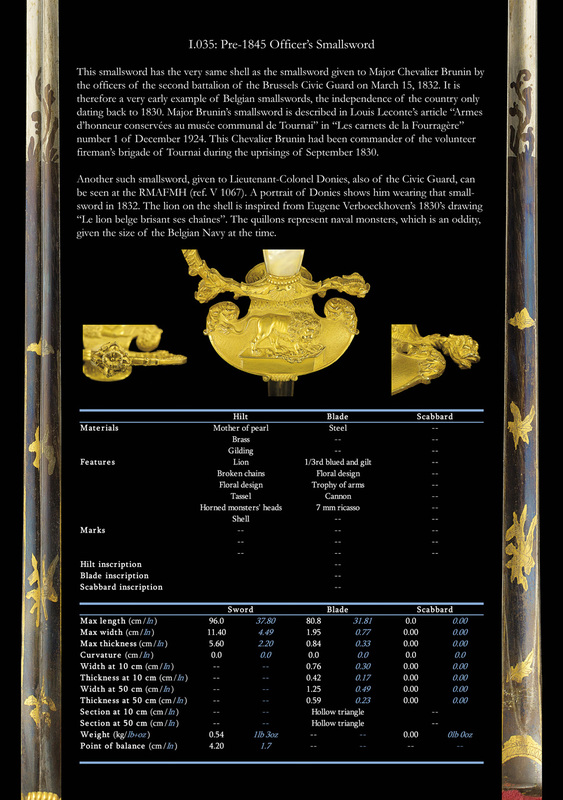 As far as sword description is concerned, I have chosen a table-based approach in order to be able to store data in Database form with a number of search criteria in opposition to a more literary approach which seems less practical to me. I am not an expert on swords, so the quality of this data can certainly be increased. 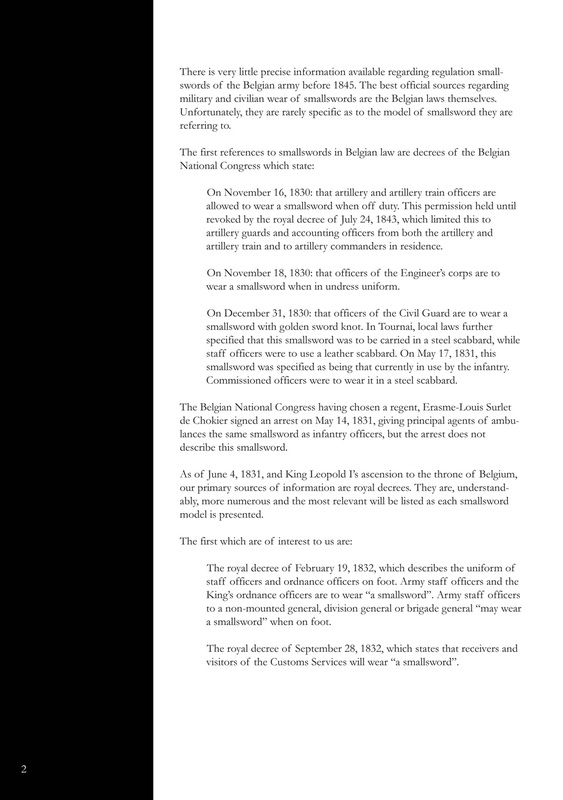 Any remarks and corrections will be highly appreciated and mirrored on the site ASAP. You can either search the database using the specific search page or start via The Wall which presents a picture of every sword currently in the database. All search results are ordered starting with the newest entries. There were thirty-two of those on website go-live on April 16th, 2015, while there are 135 now. Clicking on a sword's picture in The Wall or within the search results will open the page presenting all pictures and data corresponding to that sword. Measuring the swords was not as straightforward as I first thought it would be, so I tried to be as clear as possible about what I was measuring and how. 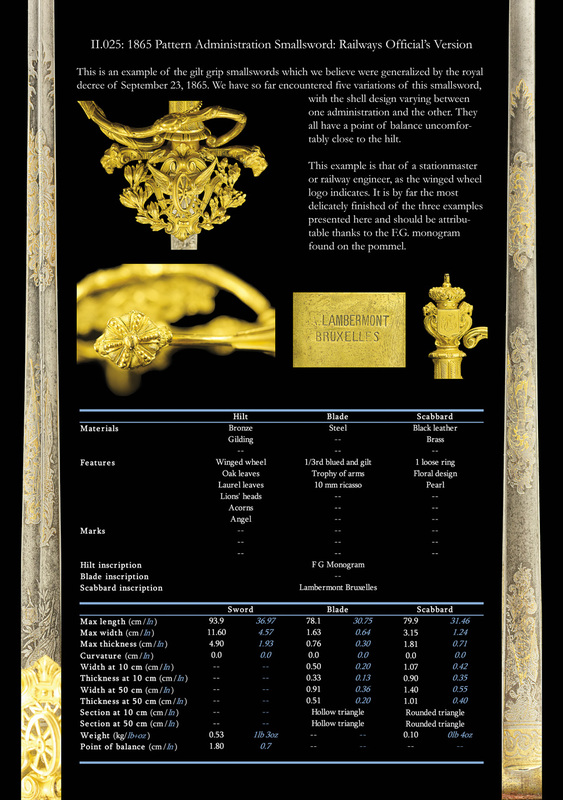 You will find a description of the measurements and method in the Lexicon. Finally, I compiled a small list of sword-related sites and books, along with my opinion on said sites and books. This part of the site is totally subjective. 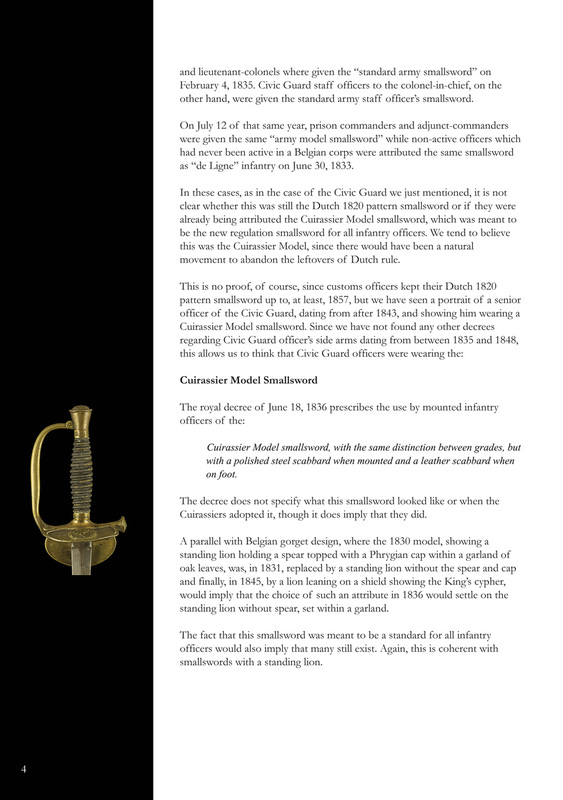 I have added a presentation of Belgian standard issues swords, with a description of whom they were attributed to and when. The entry point to this information is the following. Period pictures of Belgian men wearing swords can now be found here. Although the site is written in (hopefully understandable) English, I also understand two of our three national languages, namely French & Flemish. 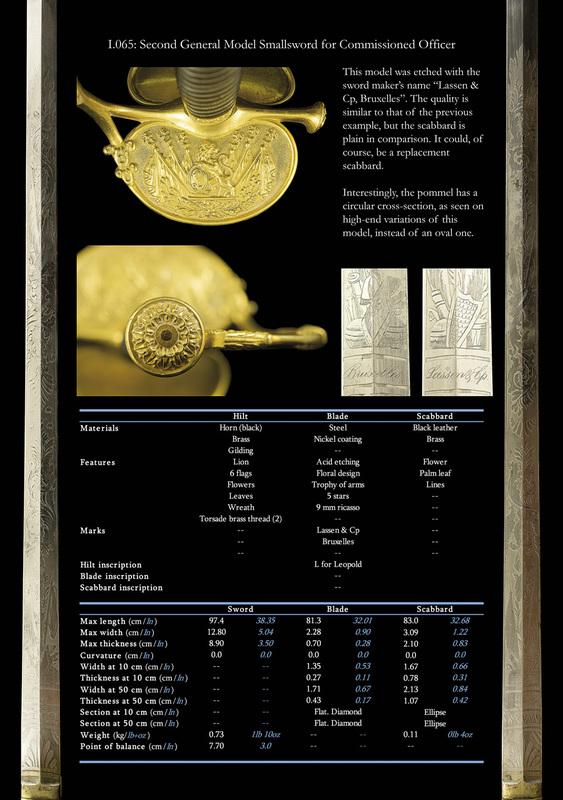 Do not hesitate to send any remarks to : benoit@swordsdb.com.